2019 is here already, and sure, you made some personal New Year resolutions – do more sports, lose weight, eat better, or quit a certain habit, and perhaps you’ve already fallen short. But what about resolutions on a professional level? In this article, you’ll find our top five resolutions to increase your practice performance. You have probably been putting off refreshing your practices online presence, but try to make it a priority for this year. As more customers turn online to research and discover businesses – would you want potential new customers to find your last update was from 3 years ago? If a full website redesign isn’t possible, start by updating your images, but choose carefully – don’t use stock photos with smiling people you’ve never met – instead, use photos from your practice which are recognizable; this will increase trust and honesty. Tip: Don’t overcomplicate – these days the camera on your smartphone will usually be sufficient quality, with a little bit of editing. You’ve probably made this promise before – “Next year I’m going to do something I haven’t done before”. This is not only a great personal goal, but a good business one, and one that you should set everyone at the practice. A good thing to commit to is a course to gain new knowledge and insights; learning or improving skills is not only a good investment for the practice, and but also benefits each employee. There are also several tools in Animana which you can task team members to master. For example – online booking via Vetstoria, or using SMS text messages to provide your customers’ information or appointment reminders. Tip: Our experience shows that implementing new functionality, or learning something new can give your whole team a boost; staff get inspired and new functions contribute to an improved – and more profitable – workflow! Have you ever held a puppy party or an open day? There are lots of ways you can give back to your customers – perhaps an informal seminar advising on the importance of flea treatments, or a group dog walk. You can also do something smaller – a photo contest on social media to find the cutest pet of the month. During holidays or birthdays, you could even give a present or reward to customers visiting your clinic. More and more consumers want – and expect – personal contact, and value quality or service over the speed of service. Your customers only determine the level of service after they have left the consulting room, typically when they are paying for the service. However, value and price are two different elements. More personal contact is easy to implement; for example, remind customers in advance of their appointment or send a follow-up email after their visit. 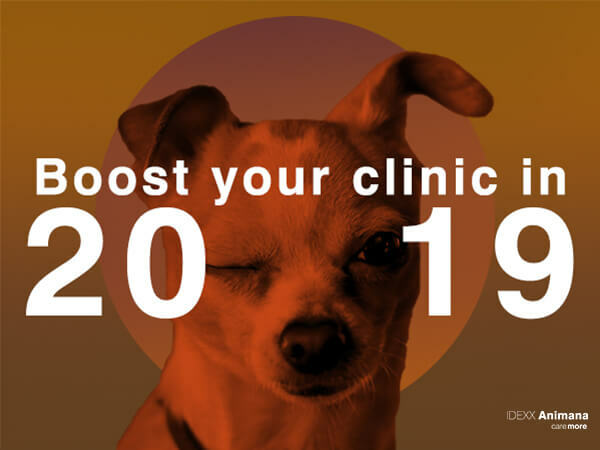 Tip: Animana offers tools to provide insight into the customer journey – these tools can be used to evaluate the personal contact with the customer in your clinic. We wrote about the customer journey in our blog before: “A flawless customer journey starts in the waiting room”. You may not have thought about it, but if you work full-time, you probably see your colleagues more than your own partner (excluding the hours you’re asleep of course!). That’s why it’s nice when you can get along well with your colleagues. But do you always talk about work in your tea breaks? These small moments make your practice a more friendly and social place to be, so instead of turning this time into a team meeting, take this time to learn about your colleagues – learn their hobbies and what makes them happy. 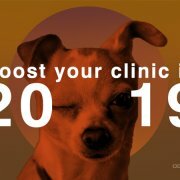 Tip: Too busy in the clinic? That’s no longer an excuse – why not block the agenda between 11.00 and 11.15 every day – then you can all enjoy that well-deserved break after a hectic morning.